Originally published in the Association of Art Institution Yearbook for 1978-79. There is a tendency in our day and age to regard the arts as optional extras for the leisured: garnishes, so to speak, on the brute facts of life - not necessities. Making a living, both individually and nationally, and all that that involves must take priority over artistic indulgence. It would be highly irresponsible to neglect the necessities of life and spend too much time and money on the arts. Moreover, even when the basic human needs have been taken care of, it isn't everyone or every community which is going to be interested in the arts, for they are esoteric in their appeal, reserved for the few who happen to have been born with a taste for such things. Mind you, this taste singles a man or woman out as being superior to those who don't have it - raises him or her above this philistine - and is regarded today as giving people a much more valid claim to superior status as a human being than, for instance, noble birth, military genius, or great riches. So in a way, it is a compliment to the arts to regard them so. Yet to assign such a subsidiary role to them, treating them as desirable certainly but basically inessential is - I think - grossly to misunderstand them. What is more, it is very difficult to reconcile this view of them to the ways in which they have been used historically. For the fact is that ever since man - homo sapiens took a slightly different road to that trodden by his first cousins, the other large apes, his way has been marked by a glittering trail of artefacts of all kinds, while the roads trodden by other animals have not. 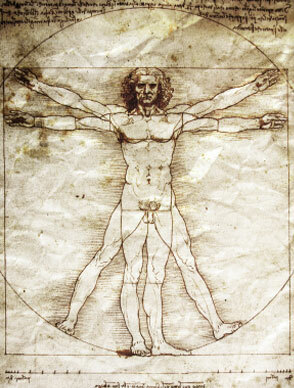 To be a man, therefore it seems, is essentially to be an artist. Wherever man has existed, he has painted the walls of caves, carved rocks, made pots and decorated them, danced round camp fires or threshing floors, formed orchestras, blown down hollow reeds and pipes, built temples, and so on ad infinitum. Billions upon billions of man hours - an unimaginably vast amount of human time and energy - have been expended during the course of human history upon artistic creation and indulgence. Why? Not because it has been fun. Often artistic creation is agony. Moreover, it is a good principle of evolutionary theory that no species of animal develops and indulges in a vast time-consuming activity if that activity does not play a significant role, either in the survival or in the betterment of the species. On a priori grounds alone therefore, it is impossible to accept the proposition that the arts are inessentials. They must have played a far more vital and essential role in human affairs down the millennia than merely to amuse the cultured in their spare time. What, then, has been that role? With what sort of knowledge, then, is art concerned? What sort of ideas does it embody, express, and communicate? I think the answer to that is - the deepest and most profoundly held ideas - the leading ideas - of the societies in which the artists live: the ideas by which those societies explain their own existence to themselves. Indeed, the job of an artist is precisely to create an artistic language, create a set of images, which can and does embody and express the ideas and beliefs of his society and not of any other; and the difference between the various schools of art - the Pharaonic, the Greek, the Roman, the Byzantine and Aztec, and so on - are the measures of the differences in the self-understanding - that is to say, the beliefs - of their parent civilisations. Moreover, the artist does not have a choice in this, he acts under compulsion. To give a rather flippant illustration of what I mean. A sculptor on the Congo in pre-colonial days, carving those marvellous and terrifying graphic images of the powers which Congolese society believed ruled their cosmos - rain gods and fertility gods, ancestral spirits and the spirits of slaughtered beasts - could not have turned round to his wife when he awoke one morning and have said to her, “I think I'll run up a little number in the late Hellenistic style today, my dear”. He had to do what he had to do. He was the spokesman of his age and his society: the maker of images of the powers which governed both; and so, I believe, have the artists of all ages and societies been spokesmen of their ages and societies. the Pharaonic sculptor created a plastic language in which could be expressed the quintessential ideas of the eternal civilisation of the Nile about its own nature and governance, gods and divine kings, upon whose health and fertility depended the health and fertility of the land; and though it is now a dead language, in the sense that no one uses it any more, it is by no means an unintelligible language. Perhaps it doesn't speak with the immediacy with which it spoke for the people of Egypt in the days of its creation; but it still speaks with enormous force. I remember having an object lesson in its viability as a language during the war. I spent about three years in Egypt at that time, and I also spent two Christmas leaves at Luxor with an architect friend of mine. We were both of us crashing artistic snobs, I'm afraid and when we heard that the great thing for trippers to do was to visit the Temple of Karnak by moonlight, we decided that we wouldn't dream of doing anything so vulgar. Fortunately, something happened - I'm not sure what now - which enabled us to change our minds without loss of face (if that is not to mix my physical metaphors too badly) and to go and see the place one splendid moonlit night. It was overwhelming. My architect friend and I were standing in the deep black shadow of one of the columns of the hypostile hall there with the moon streaming down in a splendour of silence, when a couple of British sergeants in shorts with bare pink knees covered with blond fluff, gawping in the moonlight and obliviously overwhelmed by the majesty and mystery of their surroundings, came in. They didn't see us at all. They then - or rather one of them then - gave me proof of how loudly the old language of the Pharaonic artist still spoke by enunciating what I still believe to be one of the best bits of art-criticism I have every heard. “All I can say, Bill”, he said, “is, by God, it's got something, but I'm damned if I know what it's got”. What sort of language does an artist use? Plainly, it is much less precise than ordinary everyday language; but it is, I think, very much more profound. It communicates by evocation rather than by precise analysis or description. A photograph of Mont Sainte Victoire faithfully records its appearance; a painting by Cezanne of the same hill says something about the order of things underlying natural appearances - something about the harmony of sunshine, rock, and sky - which Cezanne described in a letter to Emile Bernard as “le beau spectacle” spread out before his eyes by Pater Omnipotens Aeterne Deus. Similarly a poem means more than the sum total of the literal meanings of its component words. Indeed, from a literal point of view, the words and phrases composing it may be strictly nonsensical. The words 'sad cypress' mean strictly nothing. You can't have a miserable vegetable - by literal standards. But in Shakespeare's line, “Come away, come away, death, and in sad cypress let me be laid” from Twelfth Night they have an enormous evocative power. And poets like Manley Hopkins or Dylan Thomas abound with even better examples than that. And what is true of poetry and painting is, a fortiori, true of music, the most abstract and evocative of all the artistic languages. But because the language of the arts is imprecise, our own day and age, which has a passion for precision in all things, finds it difficult to understand and to fit into its epistemology. It may be all right for Meredith to say, as a poet, “O! What a dusty answer gets the soul when hot for certainty in this our life”, but certainty - proof - objective knowledge - these are the gods of our scientifically-minded age and they form a pantheon in which the Muses don't fit. So the arts have to be classed as inessentials, and esoteric ones at that, even if valuable ones to those who like such things. All this means that the arts and religious statements have much in common. For one thing, as I have already said of the arts, neither are open to objective verification; a fact which rules them both out of court for many people who do not question the basic epistemological assumptions of our day, the greatest of which is objectivity. I agree, of course, that in its place objectivity is a pre-eminent virtue; in science for example. But if it is the primary virtue of science to be objective, it is also its limitation. For if you start with the postulate of objectivity, it is quite inevitable that you must end, in whatever realm of research you happen to work, with nothing but objects: a fact to which I want to return later. Since neither a work of art's value nor the truth or otherwise of a religious statement are open to objective verification, all you can advise people in either realm to do is to “let those with eyes to see see, and those with ears to hear hear”. If they don't see that Picasso is a genius, for example, it is no good arguing. To them he is a fake; a dauber, a con-man and his works out of drawing, ugly, and ridiculous. He was that to my mother with whom I never agreed upon a single matter artistic, bless her heart. She was wrong, but I could never prove it. Now, I realise that all this seems to show that the modern idea that the language of the arts is only for the cultured few - an esoteric preserve - is right, just as - many people today would affirm - religion is an esoteric pursuit and an inessential activity too. In so far as both artistic ability and faith are gifts, I am prepared to admit that there is that measure of truth in the idea. But the evidence of history still bothers me, for there is no doubt at all that in the past, while by no means everyone was a creative genius artistically, appreciation and understanding of the arts was universal as was a religious frame of mind. Moreover, I think this is still true of children up to a certain age. Give them the chance, and they take to some sort of religious outlook and fill note-book after note-book with the liveliest of artist creations - even if crude ones. Then we do something to them which radically changes them - or many of them. They go in at one end of the educational sausage machine, on the whole prone to religion and full of artistry, and they come out the other end logical positivists with a profound indifference towards the arts or - worse still - a taste for sleazy pastiche in cheap reproduction. I don't mean to infer that our schools are culpable alone. It is our whole frame of mind and social outlook which, I believe, atrophies both people's artistic potential and also their religious potential, thus greatly impoverishing and depriving them. But, of course, it is not merely at the level of the means of communication that the arts and theological or religious statement have much in common: it is also - and this is far more important - at the level of content that they have much in common too: at the level of what they try to communicate in all art if whatever kind and from whatever time or place and also in all religion of whatever kind - not just Christianity - below the almost infinitely varied forms they have taken there lie two related ideas which are common and indeed fundamental to both fields. The first is that under the surface disorder of things and events, there is a deeper reality which is ordered: a pattern, a harmony, a plan. All art and all religion depends upon this belief. As long ago as neolithic days, potters were expressing what Herbert Read called mankind's horror vacui by decorating their pots with geometric patterns of one kind and another. But was this a product of man's abhorrence of emptiness - of nothingness of non-being - or a product of his deep, if inarticulate, belief that ultimate reality is ordered? Perhaps it was a product of both things. Certainly, artists down to our own day have never ceased to express their belief in such an order, even if they have envisaged it in many different ways - animist, Christian, humanist, and finally as abstract order; the order of the physicist and the mathematician - of Bronowski on the one hand and Mondrian on the other. This, too, I shall return to later. Meanwhile, the second and related idea common to all art and to religion - anyway to the great religions - I'm not so sure about some of the earliest, primitive religions - is that even the most trivial things and events are significant, valuable, of some account in the whole balanced scheme of things, if only a man has the eyes to see them as they should be seen. Indeed, they, the artists, often open the eyes and ears of their fellow-men to the latent significance and value (I'm hesitant to use the word beauty - it means so many different things to different people) of the sights and sounds around them. I hardly dare speak of music in present company, but I should have thought that the development of music is at least as good, if not better, as an example - specially modern music with the dissonance of the serial technique and the 12 note cluster. I must admit that I'm one whose ears remain obstinately deaf to the splendour of the latter. But of course it is true of painting and poetry too. You probably all know the story of the party in Whistler's studio in Chelsea just after the notorious incident when he had sued an art critic for saying in his picture of Battersea Bridge in a fog he had thrown a pot of paint in the face of the public. He claimed he had done no such thing, and got a farthing's damages. The evening of the party was foggy, and an over-enthusiastic lady, having looked out of the window turned to the master and cried, “O! Mr Whistler, It is just like your painting.” To which Whistler replied drily, “Yes, Madam. Nature is catching up”. However that may be, certainly from the earliest times, the artists of mankind have treated the most mundane and apparently trivial things almost as if they were jewels from the walls of Plato's cave - shadows of the ideal - or, a better analogy, the component parts of a sacramental universe, each of which points beyond itself as an outward and visible sign to those with eyes to perceive it of a transcendent reality. From the goldsmith of Minoan Crete working at Mallia in about 2000 BC who made a pendant representing two stylised bees and a ball of pollen in gold, through Velasquez' paintings of those sad-faced court dwarfs of his, and Chardin's paintings of loaves of bread, down to George Rouault's clowns and lumpish prostitutes and Picasso's bicycle handles and saddles turned into the horns and heads of bulls, nothing has been too insignificant or too trivial to engage the loving attention of the artists of mankind. I would very nearly go as far as to say that all artistic renewal - as parenthetically with all religious renewal - has been related to a rediscovery of the splendour of the ordinary. But that is strictly in parenthesis. I shouldn't like to argue about it before doing a good deal more work on the idea. Even so I can say without fear of contradiction, I think, that if I had to allot a motto to the artists of the world, I should give them the text, “Five sparrows are sold for two farthings, yet not one of them is forgotten in the sight of God.” Artists have behaved as if that were true far more consistently than bishops, priests or deacons, I fear. The significance and value of things and events is an essential part of the artistic vision of reality. May I briefly summarise what I have tried to say before I try to draw conclusions? Art is a language. Each school of art - and every branch of it at its greatest - of course there is trivial art too - is created by the artists of any particular time and society to embody, express, and communicate the ideas by which that society understands itself and the powers which govern its universe. They don't do this consciously, of course, self-consciousness is the death of the arts. Like Cezanne, they try to realise a little sensation. Statements on artistic language are not open to objective verification; but all artistic statement rests on an underlying belief or assumption - call it what you will - that behind the surface disorder of things there is an appreciable order, and that all details of the phenomenal world are translucent to that nominal order of things, if only you have the eyes to see it. So what? So at least this. Christian or non-Christian, religious or agnostic, or what-have-you, we all live in a world which entertains ever graver doubts about its own value and significance. The French Nobel prize winning biologist, Professor Monod, tells us all that there is no plan, no intention, in the universe. Everything is the result of pure chance - random mutation - and the purposelessness of life must be accepted because the very concept of purpose is a subjective gloss upon objective reality, and as such unacceptable. “Recent discoveries about basic organic matter”, he says in his book Chance and Necessity, “demonstrate that all forms of life are the product of pure chance. These discoveries make it impossible to accept any system, religious or materialist, that assumes a master plan of creation. Man at last knows that he is alone in the indifferent immensity of the universe, whence he has emerged by chance. His duty, like his fate, is written nowhere.....There is no intention in the universe.....Man as any other animal species is a pure accident. He might just as well not have appeared”. Thus, Macbeth was right all along, and “life's but a walking shadow, a poor player that struts and frets his hour upon the stage, and then is heard no more. It is a tale told by an idiot, full of sound and fury, signifying nothing”. Hope evaporates: at least, certain kinds of hope evaporate. The ordinary everyday hopes which inform our lives - hope that we shall pass our A levels, get married, have children, do well in the job, or even just have a good holiday in Majorca, raise better roses this year than last, or not suffer so badly from our poor old legs as we did last winter - these, go on. They are the stuff of living. But transpersonal hopes - hopes vested in God, in progress, in the ultimate victory of the proletariat - on the whole, these are, either dead, or at a discount. I wish I had time to look at the result of this - there is some pretty horrifying evidence from the concentration camps of the last world war about the effect of the absence of transpersonal hope on people's chances of mere survival, let alone on their chance fulfilment as human beings, but I haven't. The point I want to make here is that this absence of hope at the deepest kind of level - hope about the ultimate destiny of the individual in society, and of mankind - shows up very clearly in the art of today. Anxiety - angst, as the Germans call it - disillusionment and despair are far more typical of it than optimism, or confidence. There may be exceptions, but if so I don't know them. From Picasso - with a grain of hope left despite the fact that he has been the great iconographer of the break-up of the human image - to Francis Bacon, the tale is a depressing one all of which means that the artists are doing their jobs - fulfilling their age-old function - very well indeed. For, in an age in which over half the beds in all the hospitals in this country are presently occupied by people suffering from depression of some sort or from some sort of psychosomatic stress disease, an age in which the use of drugs and alcohol increases, when violence grows increasingly common, an age living under the shadow of the population explosion, the destruction of the environment, and the possibility of nuclear war, the artists would not be doing their ancient job of embodying and expressing in their works the leading ideas of their time if they did not express both its confusion and its anxiety: its hopelessness in certain respects. Yet there is another sense, and a much deeper one, in which the art of today like the art of any day, merely by being art, stands united with theology by its most fundamental and inalienable beliefs in order and value which are akin to the theological beliefs in providence and redemption. Only non-art, only the final rejection of art as art at all (and there have been fashions for just that) can be held to support Professor Monod's - to my mind - limited and pre-determined view of life; pre-determined in the sense that, starting as he readily admits from what he calls the postulate of objectivity, he was bound to arrive at the conclusion that the world, the universe and all that is in it, is nothing but a mere objection; of course it is an object, but that doesn't make it a mere object. There is a very real sense in which every work of art, so long as it is a true work of art, is both a protest against this false conclusion of objectivity and the idea of futility connected with it, and therefore against despair; and so every work of art is in its way a Magnificat - a cry of Gloria in Excelsis Deo; while every prayer said by those us who still pray from time to time and every theological statement made is also a work of art: that is to say, a realisation, embodiment, expression and communication of man's deepest belief and most abiding hope in the reality of an eternal order beyond the surface disorder of things and events: an eternal order which alone makes sense of our common humanity and confirms the truth of the artist vision of the world.